Most International orders (including Taiwan) will be shipped using Hong Kong Post - SpeedPost delivery service. China, Hong Kong and Macau orders will be shipped using S.F. Express delivery service. • all orders which included Accessories (Bracelets, Bangles, Necklaces, Jewelry, Pins, Brooch, Key holders, Watches etc) will only be shipped by using Hong Kong Post - SpeedPost delivery service. • all shipment does not deliver to P.O. Boxes, General Delivery and Poste Restante. We ship internationally to most of the countries, includes Australia, Belgium, Canada, China, Denmark, France, Germany, Hong Kong, Indonesia, Ireland, Italy, Japan, Macau, Malaysia, New Zealand, Philippines, Singapore, South Africa, South Korea, Spain, Sweden, Switzerland, Taiwan, United States, United Kingdom and Vietnam. For details, please refer to the country list when you check out. If your country does not appear in the list, unfortunately we do not deliver to where you live at the moment. We are adding new delivery destinations all the times so please keep updated on our website. Tracking numbers are provided for all international and local orders. Once your order is dispatched, you will receive an email notification from us with the tracking number. Use the tracking number to check the delivery status via the Hong Kong Post and S.F. Express website. All shipping costs (with administration fee included) will be calculated automatically according to the weight of the products during the check out procedures. Please check your order summary thoroughly before you complete the payment process. Orders will normally be processed within 5 business days once your payment is completed and approved. Please allow extra time for your order to be processed during public holidays and busy periods. For a list of Hong Kong public holidays, please click here. For details on public holidays in the destination country, please refer to your local government website. Note that delays may occur as a result of pending payment authorizations. If you do not receive a tracking confirmation within 3-4 business days from the day you completed your payment, please kindly contact our customer service for more information. Please be informed that in some cases your local customs office may require additional documents and time to have your package cleared. During such instances, the estimated delivery time may be affected. We can only change your shipping address in the case orders are still with us. For those already shipped, an additional fee (which we call it as “re-routing fee”) will be charged for the request. Please take this into consideration when selecting and filling in your shipping address for order. For failed deliveries (courier is unable to reach customer due to the incorrect address provide by customer, failed attempts to reach customer at the location or customer refuse to pay duties), MADNESS is not responsible for the returned shipping cost. For re-shipped orders, the shipping costs are also payable by customers. If you refuse to receive the order and ask for a refund, the order amount will not be refunded in any circumstances. Customs duties, including Goods and Services Tax (GST), Value-added Tax (VAT), are not calculated in the price of the product. Please be advised that import taxes, duties and related customs fees may be charged once the parcel arrives at the destination country. These charges are determined by the customs office of the regarding destination. Payment of these charges and taxes is the responsibility of the recipient and will not be covered by Lovemark Diamond. For further details of charges, please contact your local customs office. In some occasions packages may be delayed due to custom clearance. If you are shipping an item over $300USD, you should consider using a trackable shipping service or purchasing shipping insurance. We don’t guarantee that we will receive your returned item. From the very beginning, we have existed to celebrate the best of life. 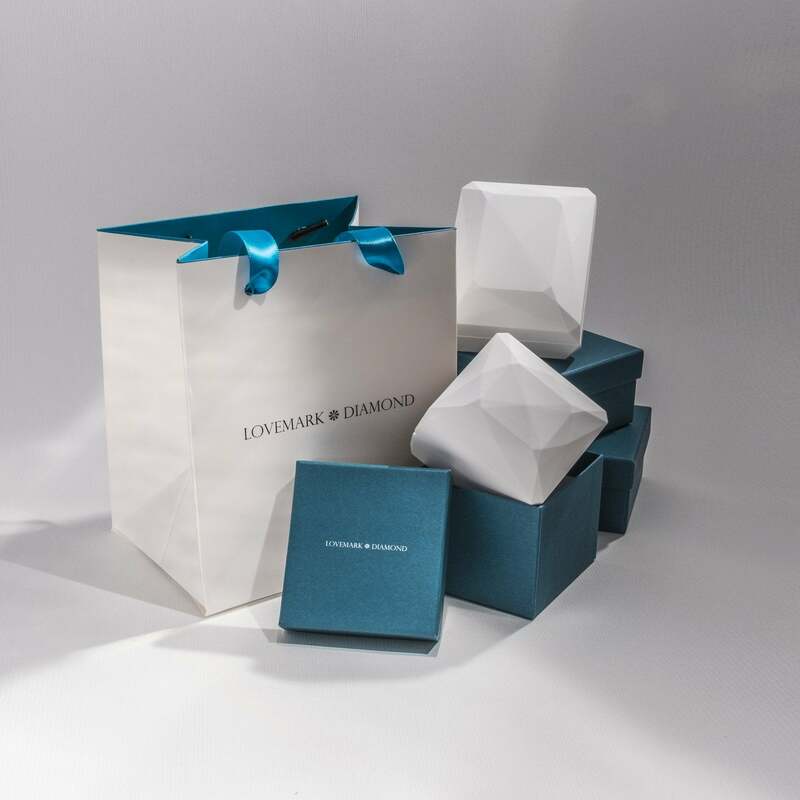 We offer inspired individuality and a ceaseless passion for detail, as evidenced in jewelry that exceeds expectations, from our family to yours.